It was a crisp fall morning, Granny had Easy Pumpkin Bread baking in the oven, and I was sitting on the front porch enjoying a book. I heard the phone ring inside of the house and then after a brief conversation, Granny furtively gestured for me to come inside, telling me to close and lock the door behind me. We lived in the country and never locked our doors during the day. When I came in the house, Granny was frantically closing all of the curtains and checking the windows and doors to make sure they were locked. When I asked what was going on, she told me a man was walking up the road, acting oddly and talking to himself, and one of the neighbors had called to tell her he appeared to be heading for her house. Now mind you, we lived in a tiny town, out in the country, and we knew everyone around. So for a strange man to be walking down the road and acting oddly was, in fact, a big deal for us. Sure enough, just minutes after we got inside and locked the doors, here comes the man in question, and it was quite obvious, something was definitely awry. The man came straight up on the front porch and started banging on the windows and doors, demanding to be let inside. I was horrified. Granny was an upright Christian woman and never condoned violence. She was even best friends with the local pastor’s wife! What would the town think if she shot a man on her front porch?! Nevertheless, I heeded her words and obeyed quickly, lugging PawPaw’s old shotgun out of the bedroom and into the living room where she stood guard by the door. By this time, the mysterious man was peering into the windows, trying to see through the curtains, and muttering to himself. I think I was more afraid for Granny trying to use that shotgun than I was for the man on the receiving end because I was pretty sure Granny had never held a shotgun in her life, let alone used it! I’m still not sure what caused the man to finally leave and go across the street. Maybe it was my desperate pleas to heaven or maybe it was the image of a shotgun-wielding Granny that scared some sense into him. Whatever the case, by the time the sherif arrived (an hour later!) the man had propped himself up against the mailbox and was smiling and waving at all who drove past. I think the image of my Granny leveling a shotgun twice her size at his head caused him to have a little come to Jesus meetin’. Moral of the story: Don’t ever mess with a determined Granny – and don’t forget your Pumpkin Bread in the oven! 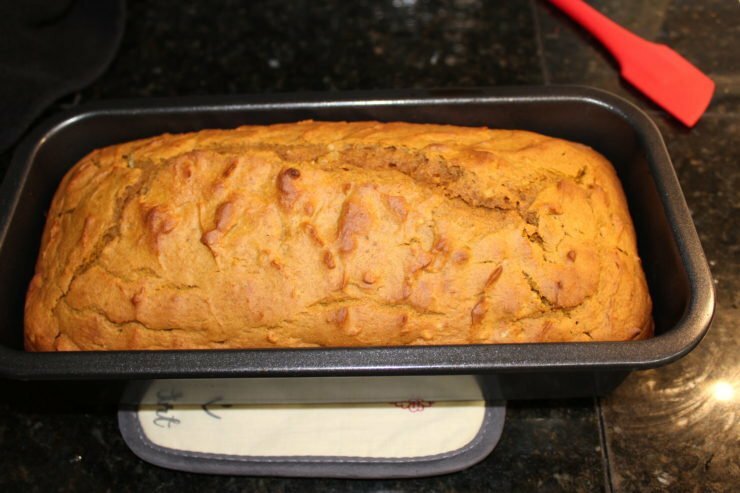 For this Easy Pumpkin Bread recipe, I took my Granny’s classic Pumpkin Bread recipe and simplified it for the busy cook. For my recipe, you’ll need Spice cake mix, pureed pumpkin, eggs, oil, and chopped nuts if you so desire. 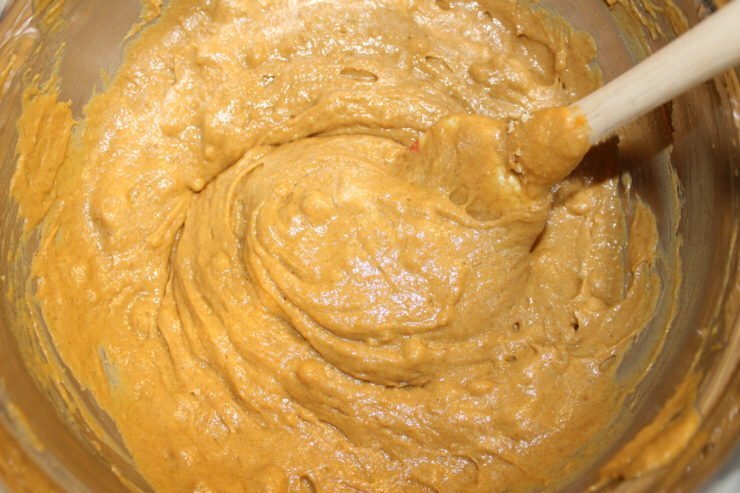 Grab your box of Spice Cake mix and empty it into a large mixing bowl. You can use any brand you desire for this Spice Cake mix, however, I prefer Betty Crocker because I feel like it is the most moist with the best flavor. It’s important to note that this recipe and the following ingredients are following the instructions for the boxed cake mix I purchased. If you choose to use a different brand, follow the instructions on the back of that box and just omit the water. 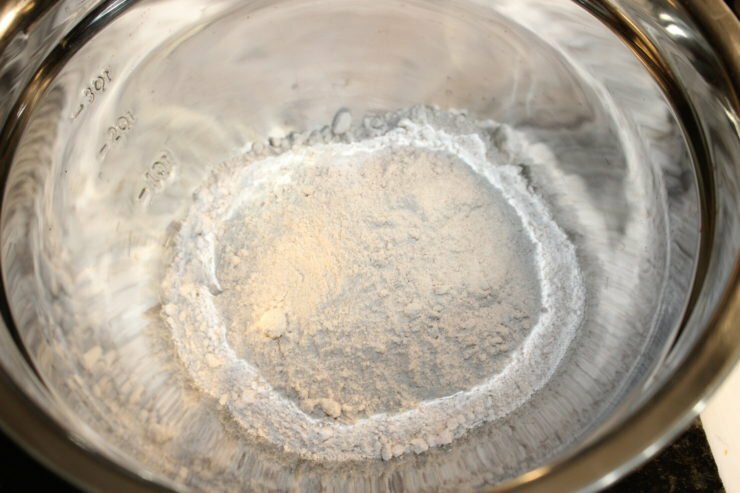 After adding the Spice Cake Mix to the large mixing bowl, pour in 1/2 cup of Canola, Vegetable, or Olive Oil. 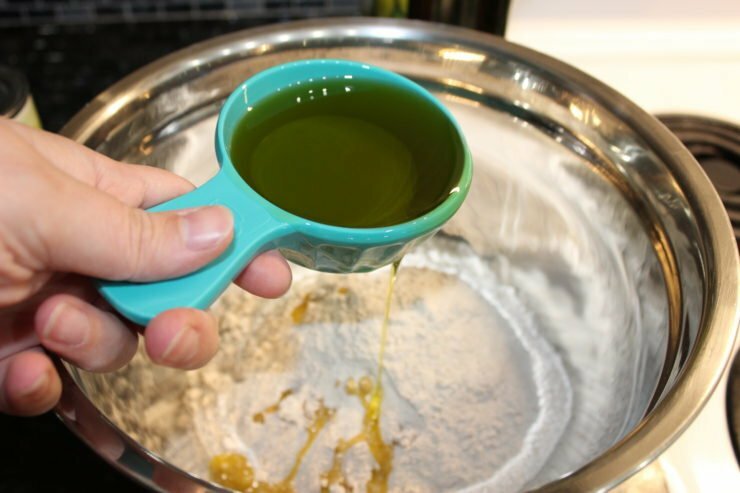 I prefer to use Olive Oil when cooking because it’s a much healthier alternative to Canola or Vegetable oil. Again, please make sure you read the required ingredients on the back of your boxed cake mix if you’re using a different brand than I did! It’s possible you may need to add more or less oil than what my boxed mix called for. 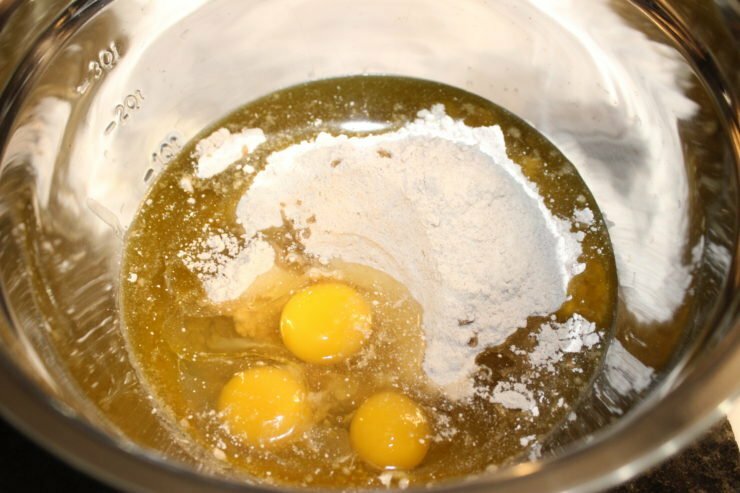 After adding the oil to your Spice Cake mix, crack three eggs and add them in as well. Remember, your boxed cake mix might call for more or less eggs so read the instructions! As a side note: a quick and easy way to crack eggs is to crack them on a flat surface and not the edge of a bowl or counter. I’ve always been the worst ever egg-cracker, but walloping them down on a flat surface has changed my egg cracking game! Now that you have the Spice Cake mix, the eggs, and the cooking oil in the large mixing bowl, it’s time to add in the pumpkin. 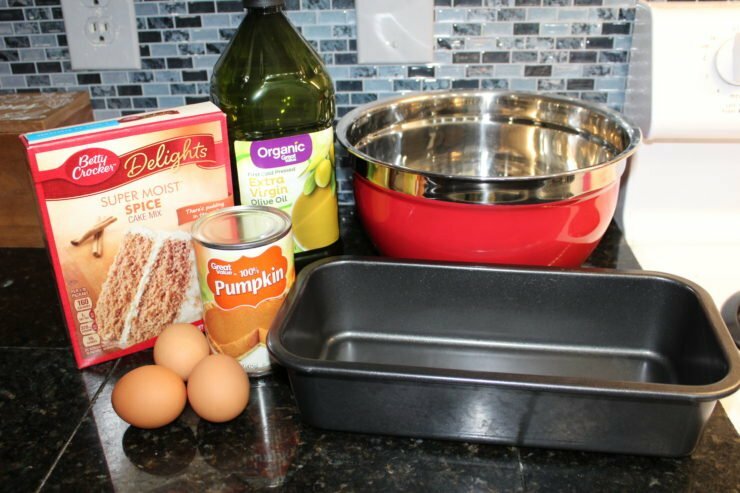 For this Easy Pumpkin Bread Recipe, I used 15 ounces of 100% pure, pureed pumpkin. 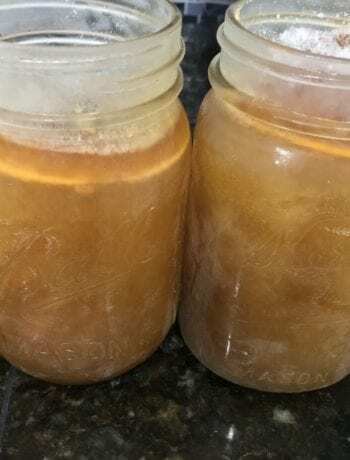 There are two different types of pureed pumpkin in the store and you’re going to want the one that’s just pumpkin with no spices or seasonings for this recipe. Now that all of the ingredients for this Easy Pumpkin Bread has been added to the large mixing bowl, give this mixture a good stir. Use a spoon or spatula to stir all of the ingredients together until no dry lumps remain. This next ingredient is completely optional to you so if you have someone in your family allergic to nuts, you can skip this step. Granny always added nuts to her pumpkin bread, usually walnuts or pecans, so I opted to add in walnuts. I added 1/2 cup of whole walnuts or you could use 1/2 cup of whole pecans. 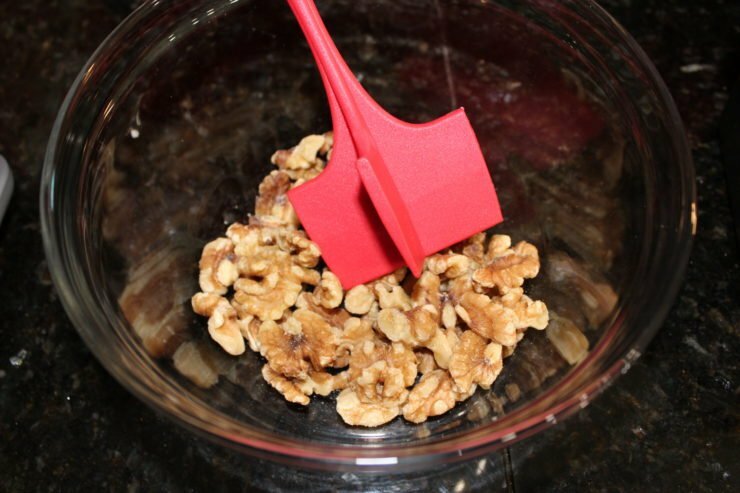 Use a meat muddler (pictured above) or a biscuit cutter to chop the whole walnuts into small pieces. 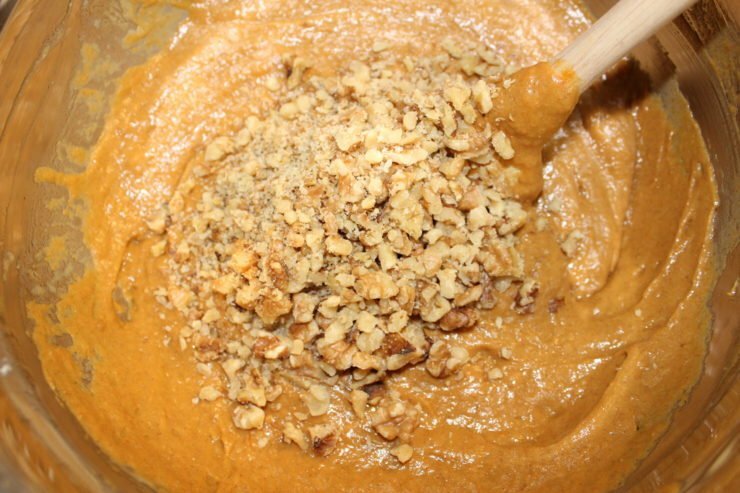 Now that the nuts have been chopped, add them to the pumpkin bread batter. If you don’t like nuts but you still want to add a little something to your easy pumpkin bread, you can always add pumpkin seeds, chocolate chips, caramel chips, or white chocolate chips. This easy pumpkin bread recipe makes a great pumpkin bread with chocolate chips if you love chocolate mixed with pumpkin. 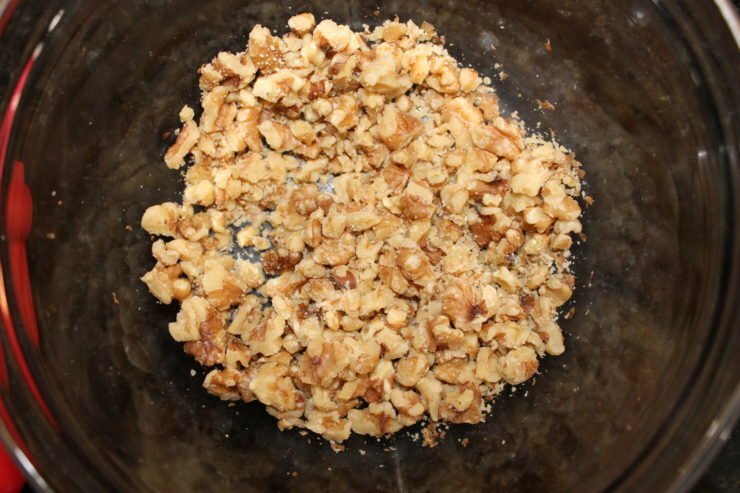 Stir the chopped walnuts (or any baking chips you might have added in) until well mixed. I like to stir until I know the walnuts have been evenly dispersed in my pumpkin bread and they’re not all just sitting in the bottom of the bowl. 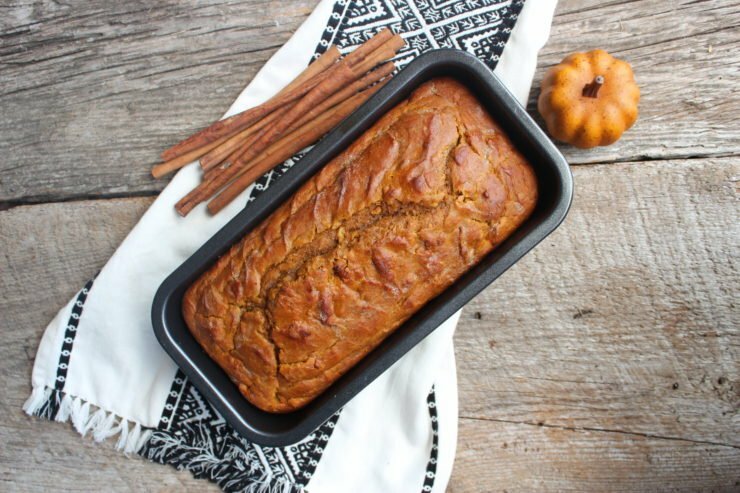 Your Easy Pumpkin Bread recipe is ready to go, so now all you need to do is prepare the oven and grab a loaf pan. 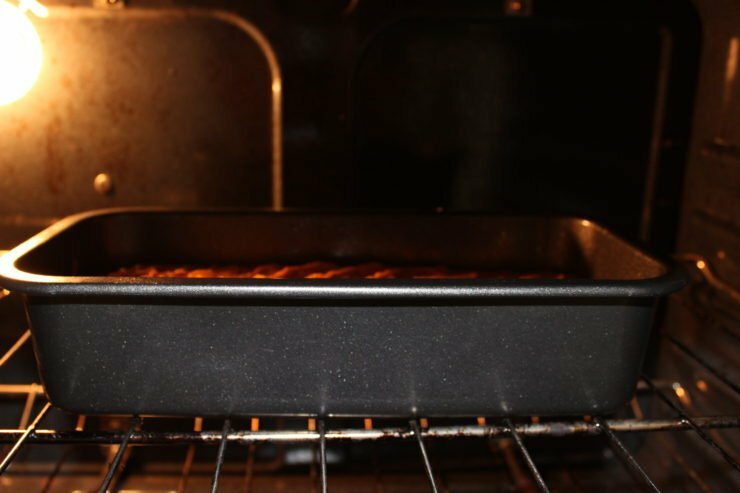 Preheat the oven to 300F and spray a standard sized loaf pan with nonstick cooking spray. I had to cook my Pumpkin Bread on such a low temperature because my oven has the tendency to cook really fast and hot. To prevent the bottom and sides of my bread from burning, I had to cook it low and slow but you may need to adjust the cooking temperature and time according to your own oven. 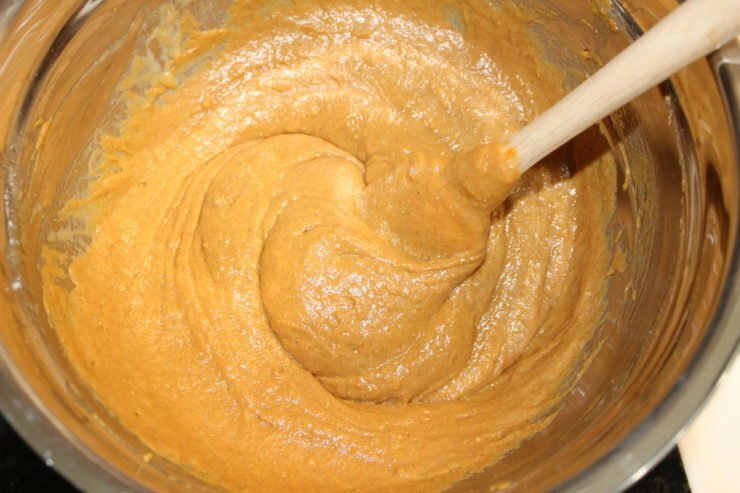 Pour the Pumpkin Bread batter into the loaf pan and smooth it out in the pan to make sure it is evenly disbursed. I used the end of my spatula to create “waves” on the top of the pumpkin bread. Making the top of the bread look “wavy” gives it a pretty effect when baked. Place the Pumpkin Bread in the preheated oven and bake at 300F for 40-45 minutes. 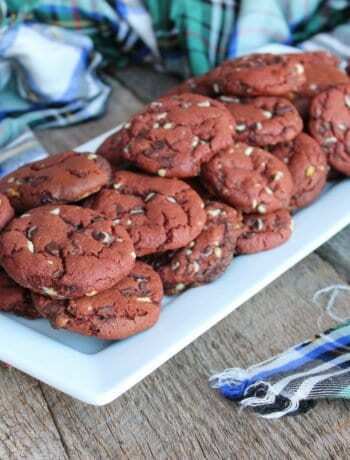 If you know that your oven cooks faster or slower, just adjust the baking temperature and time as needed. 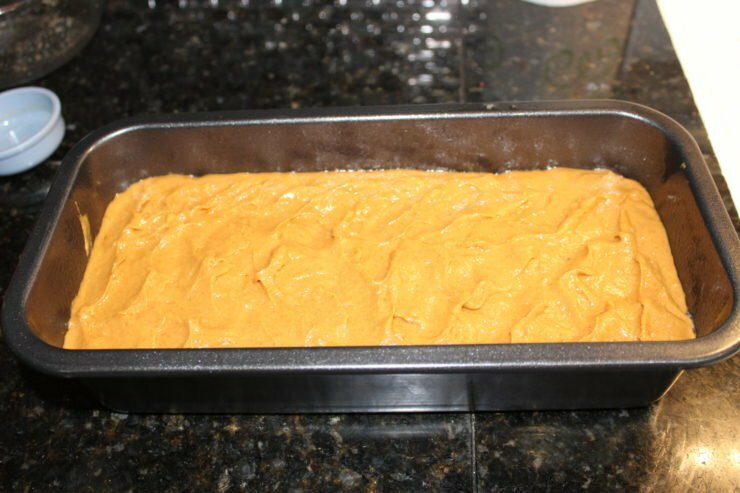 Once the cooking time is complete, remove the pumpkin bread from the oven and place it on a pot holder or cooling rack to cool. Use a toothpick to insert it in the middle and sides of the pumpkin bread to check and see if the pumpkin bread is cooked through. If the toothpick comes out clean with no batter on it, your pumpkin bread is cooked through. If there are any lingering traces of batter on the toothpick, just bake the pumpkin bread a little longer. While the homemade pumpkin bread is fresh out of the oven and still hot, use a stick of salted or unsalted butter to “top” the bread. I do this the old fashioned way, the way my Granny always did, and I just rub the end of the stick of butter directly onto the bread until the entire top and sides of the bread is coated with a butter glaze. 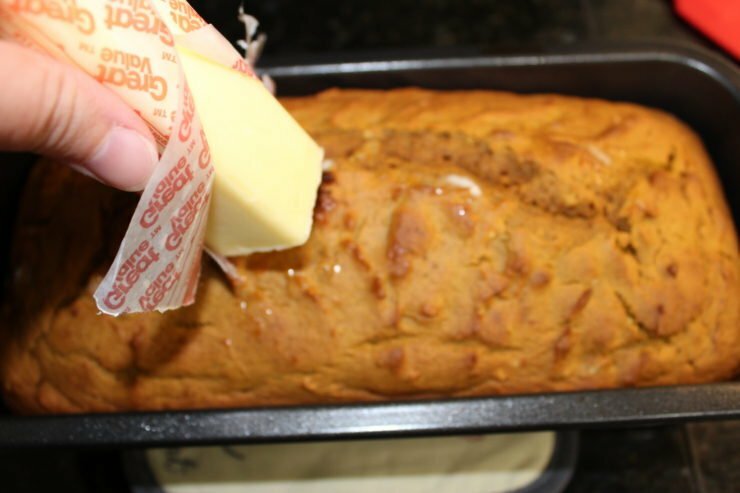 Adding butter to the top of the Pumpkin Bread makes it so moist and delicious! And y’all, please, for the love of all that’s good in this world, do not use margarine (or another butter substitute) in the place of real butter! Now that your pumpkin bread is cooked and glazed with that lovely butter glaze, it’s time to wait. 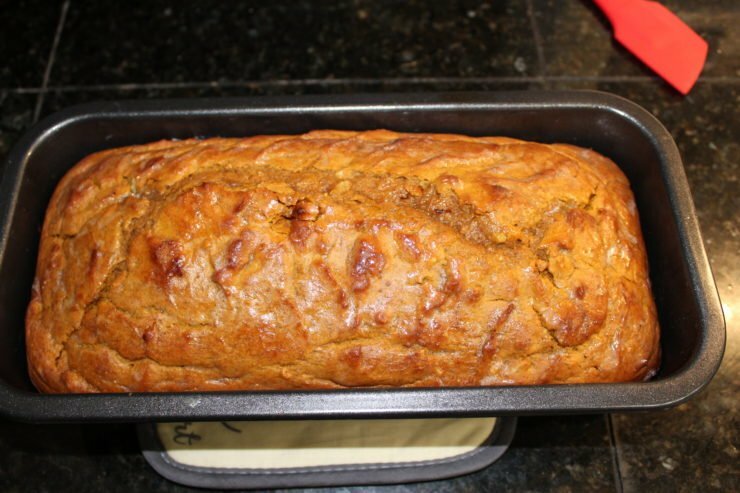 Allow your pumpkin bread to cool completely before slicing it into individual slices. If you’re impatient and you don’t wait, there’s a good chance your pumpkin bread slices will crumble and fall apart when hot. 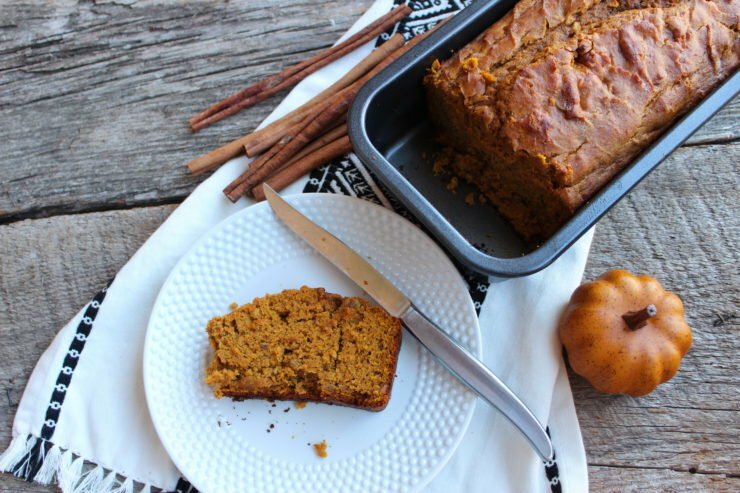 If you’re like me and you love coffee, this Easy Pumpkin Bread pairs wonderfully with a hot (or iced) coffee for a great snack or breakfast. There is nothing quite like enjoying a slice of Pumpkin Bread with a cup of hot coffee on a cool fall or winter morning. I love to sip my coffee, nibble a little sweet treat, and take time for myself of a morning whether that be finishing up some work or reading my daily devotional. 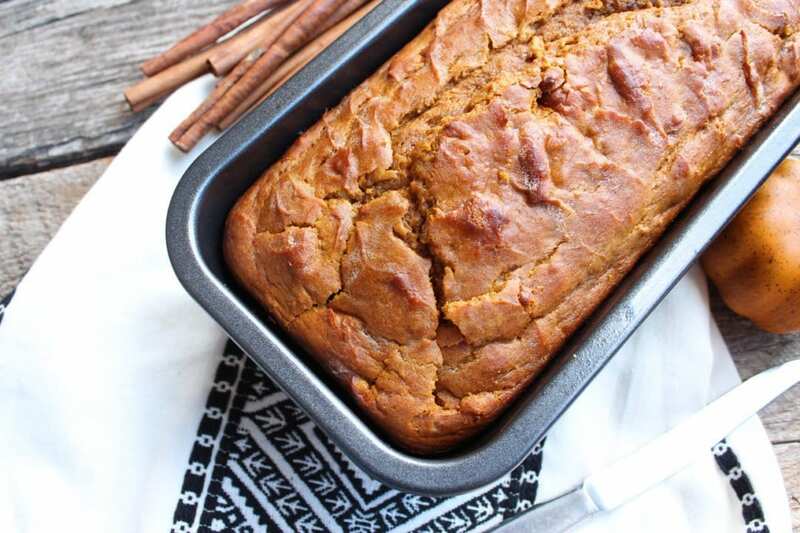 This Pumpkin Bread will stay good in the fridge for up to 4 days in an airtight container. 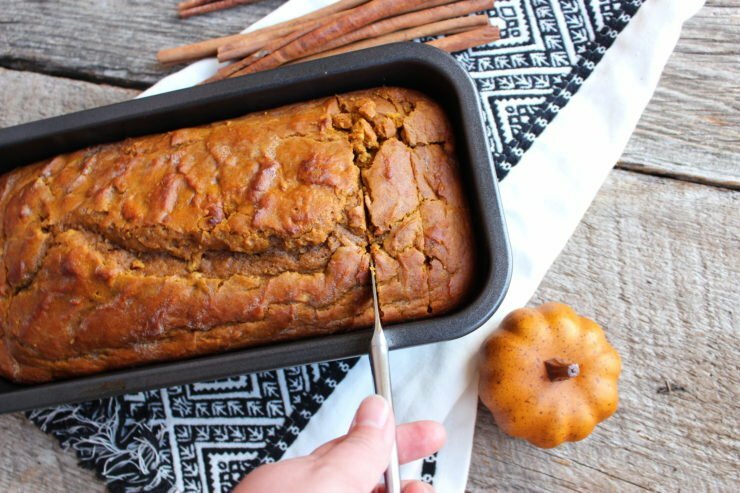 If you have leftovers, you can also freeze this pumpkin bread for up to 3 months. I suggest slicing the pumpkin bread into individual slices and wrapping tightly in plastic wrap before placing in a freezer friendly sandwich bag and sealing well. Set the pumpkin bread out at room temperature to thaw and heat in a small oven or microwave if you want to enjoy it warm once thawed. I hope you have enjoyed your time in my kitchen today and I hope you will come back soon to visit with me! Thank you for spending some time with me today and I look forward to visiting with you again soon! Check out my Pumpkin Swirl Brownies and my Three Ingredient Pumpkin Muffins for more great fast and easy pumpkin treats! 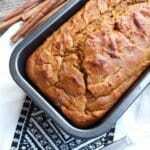 Easy Pumpkin Bread is a Five Ingredient Pumpkin Bread Recipe, simple, fast, and delicious, perfect for fall and the upcoming fall and winter holidays. 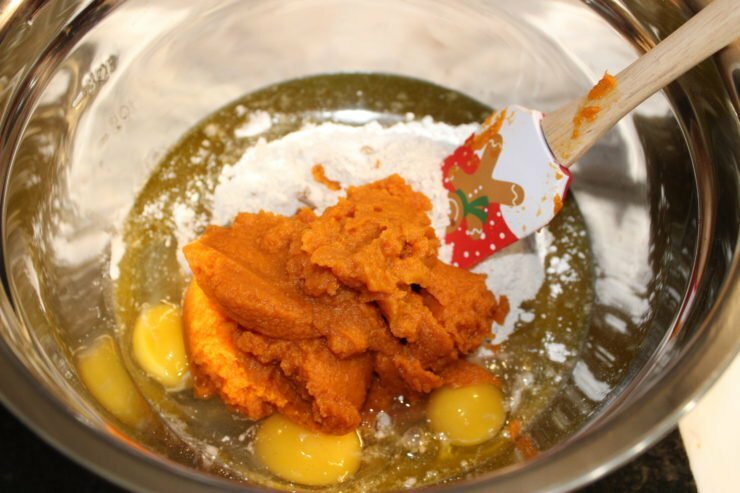 Place the cake mix, eggs, oil, and pumpkin in a large mixing bowl and stir well, beating the eggs in as you go. Stir until no lumps remain and the batter is smooth. In a separate, small bowl, use a biscuit cutter or meat muddler to chop the nuts into small bits. You can also use a food processor. Stir the nuts into the batter. 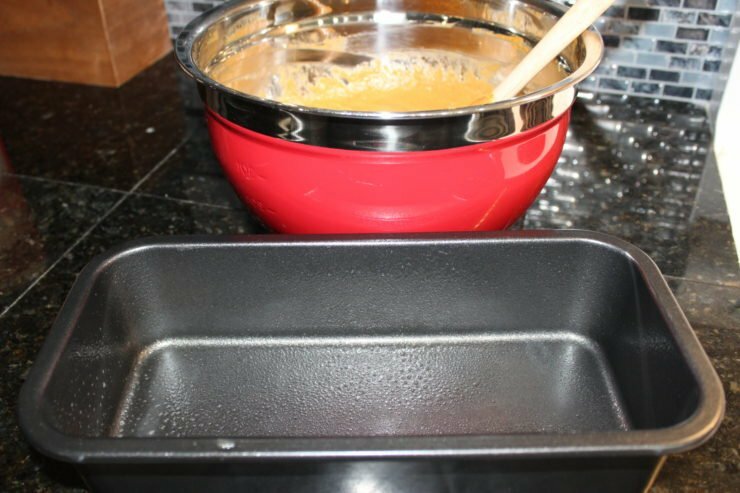 Spray a standard loaf size pan with nonstick cooking spray and spread the batter evenly into the pan. Bake at 300F for 40-45 minutes or until a toothpick inserted in the middle comes out clean. Use a stick of butter to rub over the top of the bread, creating a butter glaze. 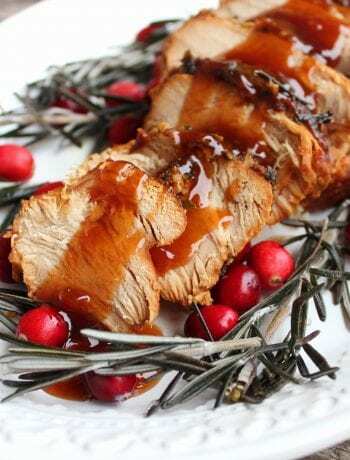 OMG, I am making this today (and I am supposed to be on low carb) in honor of your granny. That is a beautiful loaf of bread! Thanks for sharing at the What’s for Dinner party – hope to see you next week too. In the mean time, have a fabulous week! 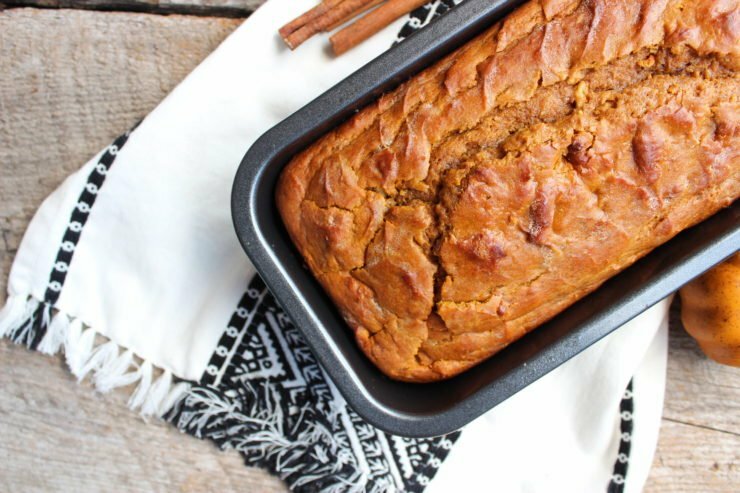 Your Pumpkin Bread looks delicious and just in time for fall! Thanks so much for sharing with us at Full Plate Thursday, your post is awesome. Hope you are having a great week and come back to see us soon! Congratulations on the feature at Foodie Friday! Your pumpkin bread looks fabulous.